At Rossul, we value design and customer satisfaction over everything else. Creating a usable, empowering design can transform your application and leave the end user extremely happy. If you don’t’ believe us, take a look at some of our recent work. 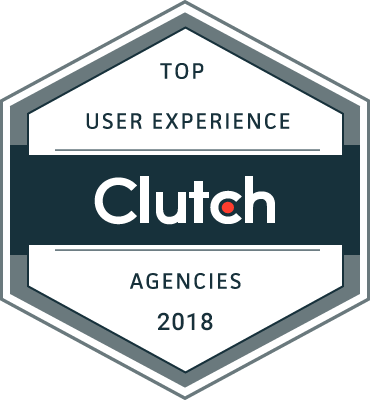 It is extremely humbling to be named by Clutch.co, an independent research and reviews firm, as one of Canada’s top UX agencies of 2018. Clutch researches and evaluates thousands of UX agencies from across the globe and ranks them based on capability, market presence, and previous client experience. We could not be more proud of our standing, and have to thank all of our clients and partners for this brilliant achievement. The biggest advantage was that ROSSUL had a framework for extracting undocumented information and knowledge. From our perspective, this was one of their biggest accomplishments. We cannot wait to see what this year has in store for our team and our clients. We’re excited to get back to work to create more breathtaking application designs. Want to read more of our client testimonials? Visit our Clutch.co profile to find out more!